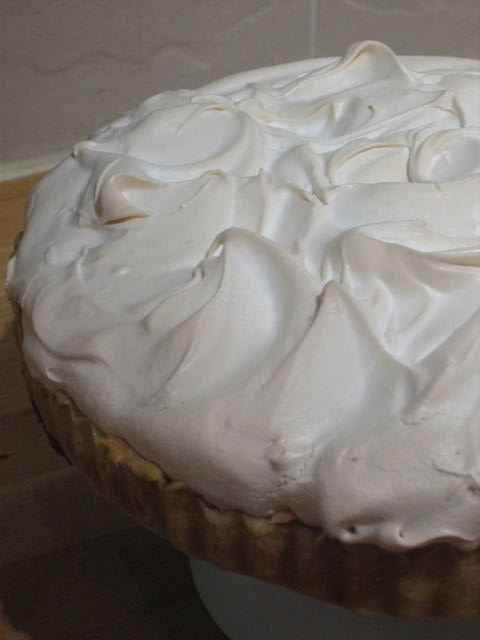 Lemon meringue pie – and oldie but a goodie!! This ones for you bro. 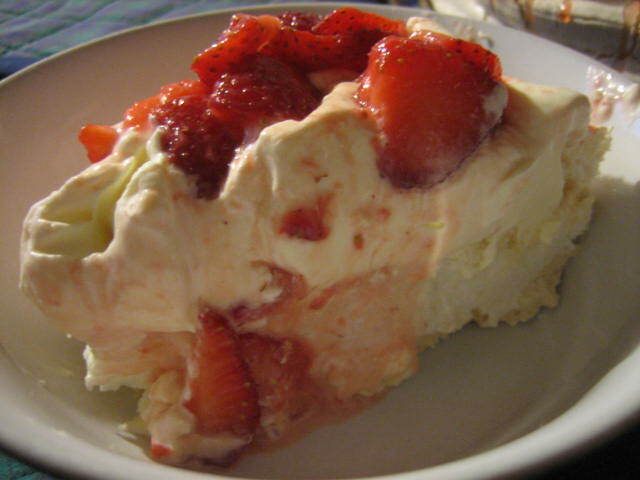 My brother-in-law is a little bit of a sweet tooth, actually he is a lot of a sweet tooth. 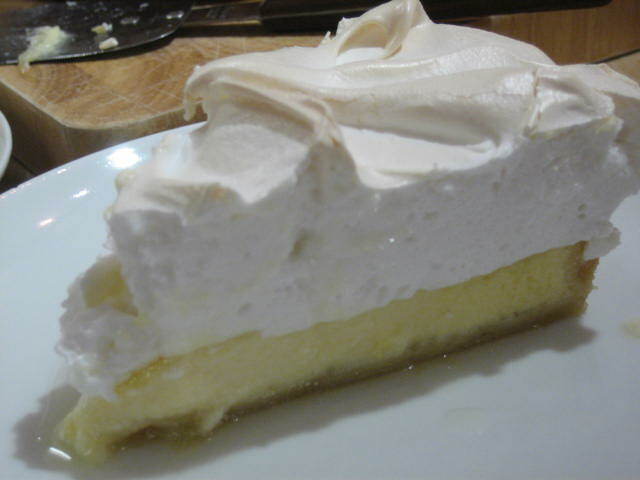 His absolute favourite dessert is Lemon meringue pie (LMP as I prefer to call it). He loves it so much that I think he could turn violent if someone threatens to take a piece of “his” pie. It was his birthday last week so I decided to make his day by tackling the LMP. I have made plenty of lemon tarts and brulees and tons of meringues but never actually combined them to make an LMP (shock horror!) With a little bit of pre-pie research I decided to “wing it” and make it up as I went along. 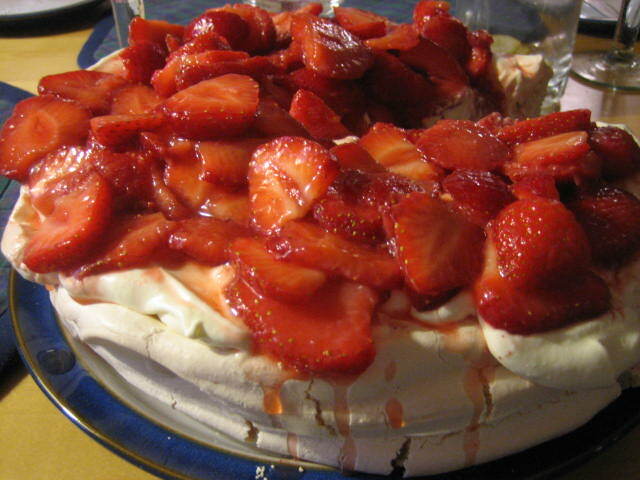 My research uncovered an excessive use of lemon curd for the filling – what’s that all about! I do love lemon curd but how much better is a lemon tart? 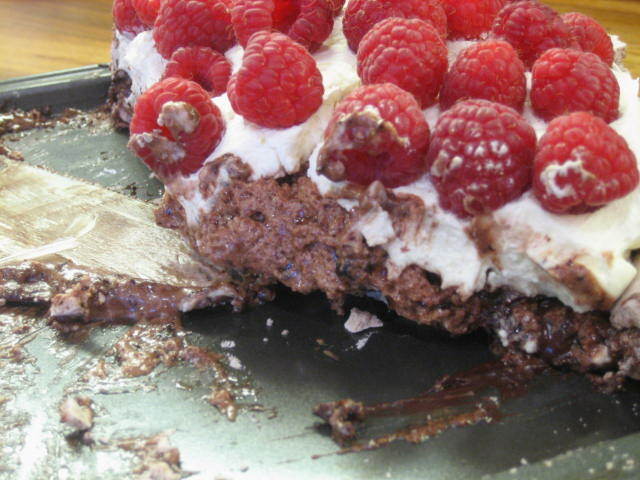 This dessert does have a rather high “faff” factor but it is well worth it. First things first follow the recipe from the “Ginger creme brulee tart” pastry case (only), bake it blind as per the recipe ensuring that there are no gaps in the pastry (if there are holes or gaps the filling will pour through and it will make a right mess of your oven). 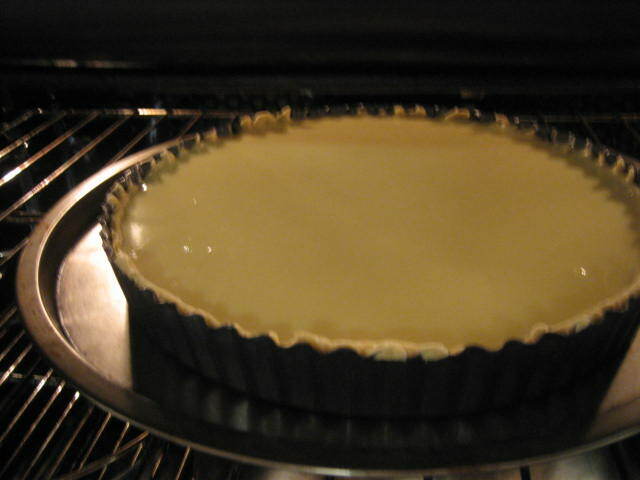 While the pastry case is baking blind you can get the lemon filling prepared. Zest and juice 4 lemons and pop in a non reactive pan with the 120 grams of sugar. Warm through until sugar has dissolved then remove from heat. Heat the cream but do not boil. 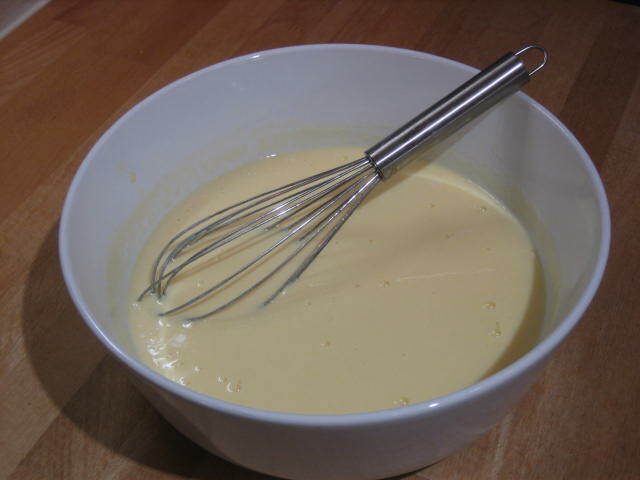 Whisk the 6 eggs together until combined (not fluffy) in a large bowl. 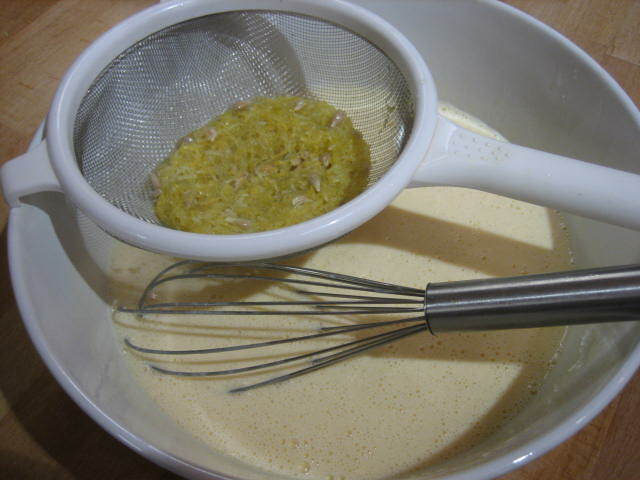 Strain the lemon mix through a sieve into the eggs and whisk making sure to squeeze all the liquid out of the pulp/zest. 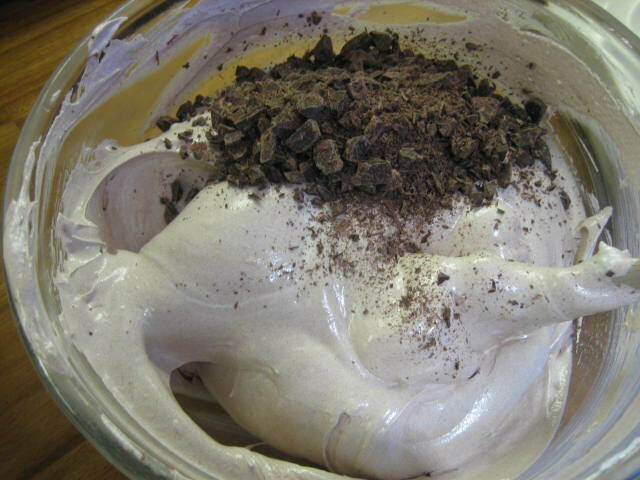 Then add the cream and whisk through. Drop the oven temp to 140 degrees Celsius once the pastry case has been removed. 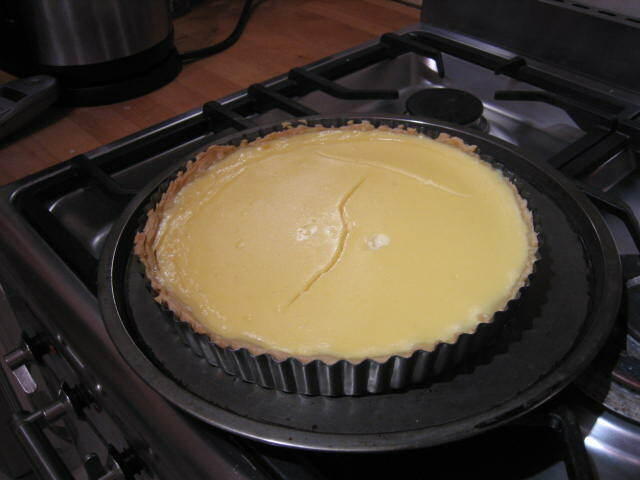 Place pastry case (in loose bottom tin) onto a baking sheet and then fill with the lemon mix. 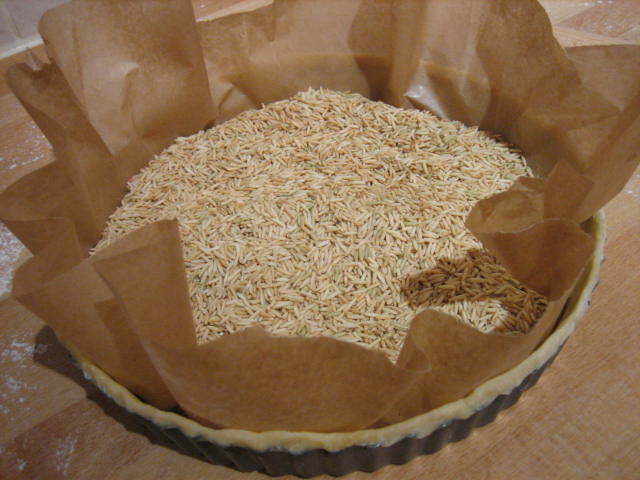 Place in the oven and bake for 25 – 30 mins until set but not firm. 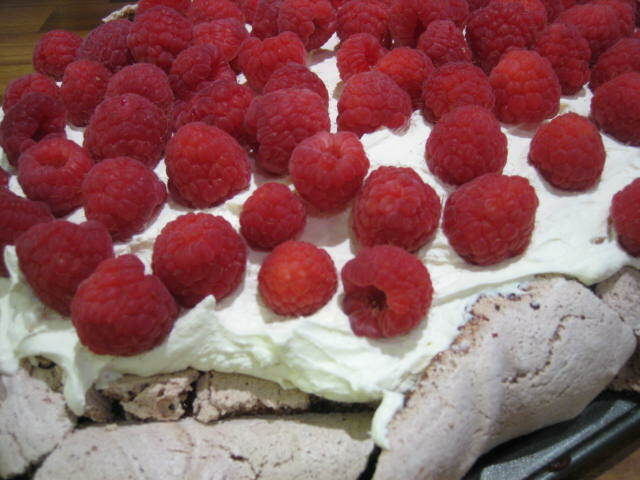 Once the lemon filling has set remove it from the oven – remember it will continue to cook in it’s own heat AND it is going back into the oven with the meringue on top so a little wobbly is good. 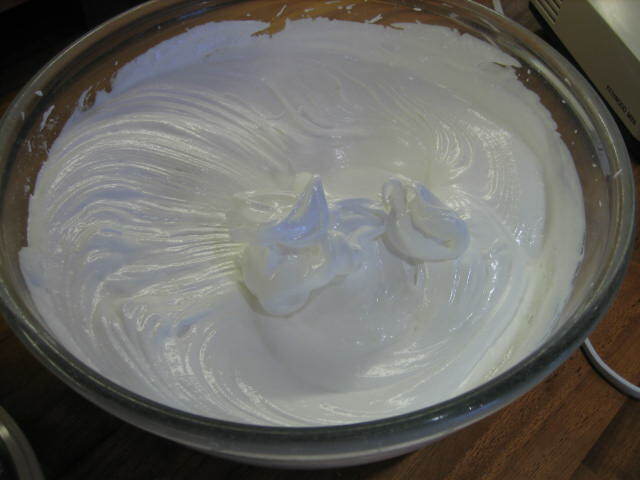 It is now time to whisk up the egg whites for the meringue. Make sure your bowl is spotlessly clean. 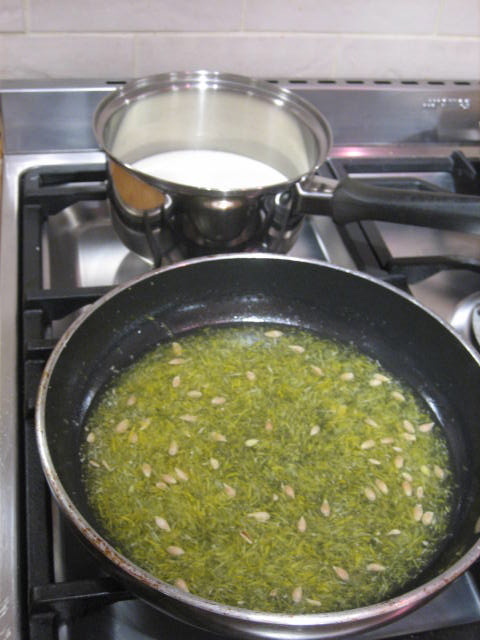 It there is a scrap of oil the whites will not whisk properly. Separate the eggs ensuring that you do not get any of the yolks in the bowl. 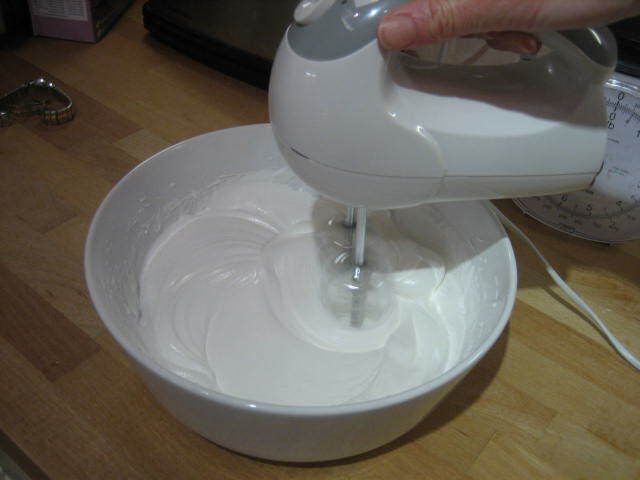 Use an electric whisk (you can use a hand whisk but prepare to have a burning arm!). 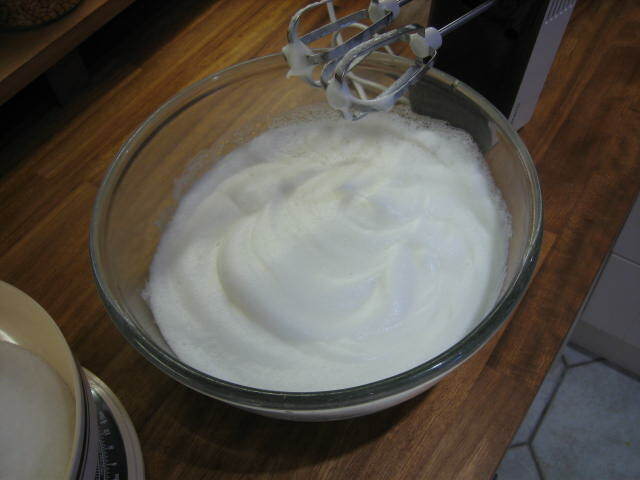 Whisk until soft peaks form then slowly add the 280 grams of caster sugar. 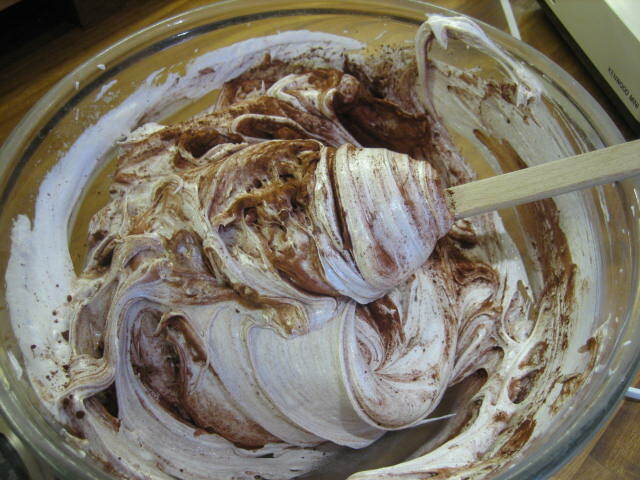 The meringue mix should be shiny and thick. Once all the sugar has been whisked in fold in the teaspoon of vinegar. You are now ready to pop this on top of the lemon tart. You don’t need to be delicate here – just get it on with a spatula. You can swoosh it around a bit to make some peaks which will crisp up when cooked. Pop it in the oven and drop the temp down to 120 degrees. 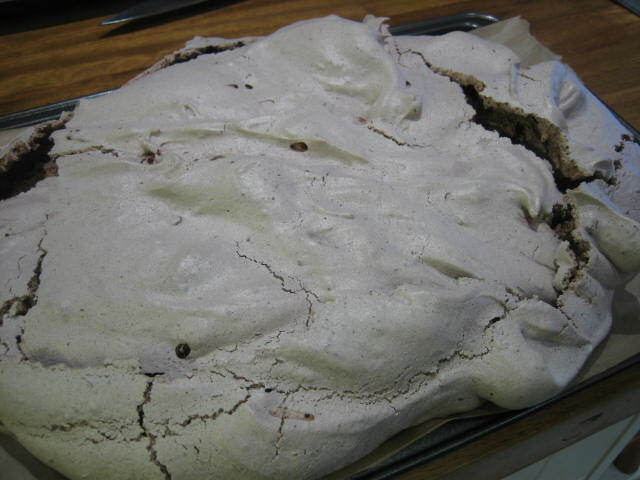 Cook for a further 20 mins or so until the meringue is firm but not hard. 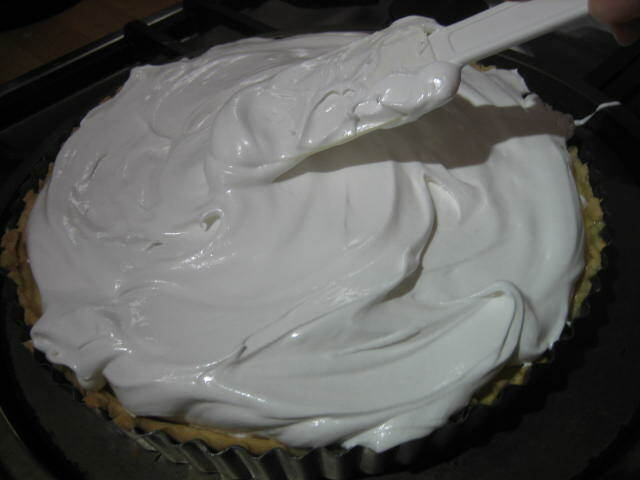 Let the pie cool in the oven with the door slightly a jar this will stop the meringue cracking up too much. 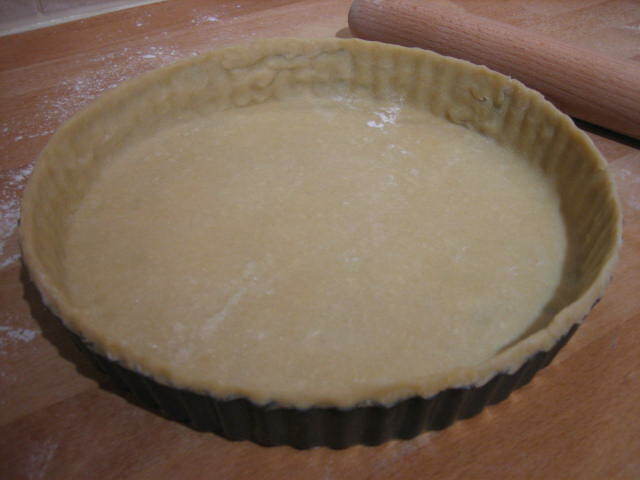 Note: if you are feeling lazy you can use shop bought short crust pastry. I wouldn’t use the sweetened one as they are always too sweet and try to use an all butter one if you can.